- Guide on board with the map of the key switches, Tips&Tricks, Basic Guitar chords. 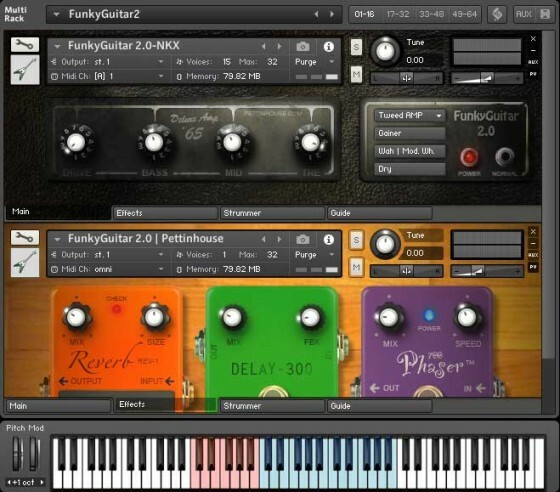 notes, the strummer will properly play notes quantized and synced to the host tempo. 2 - Improved some patterns velocities, now they play more realistic. 3 - Minor changes on GUI.